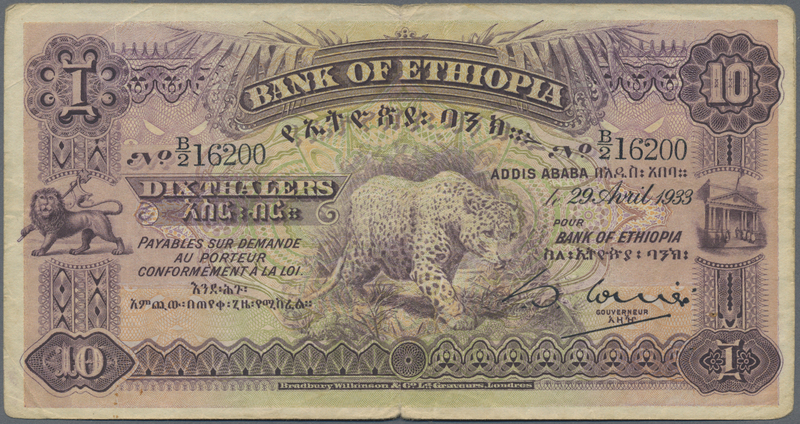 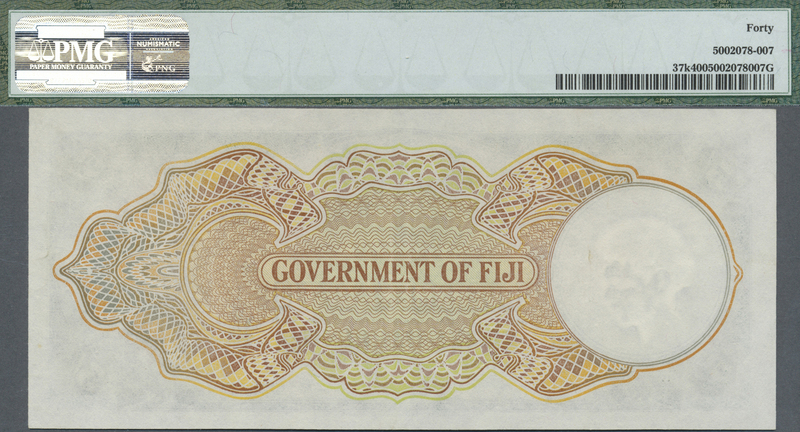 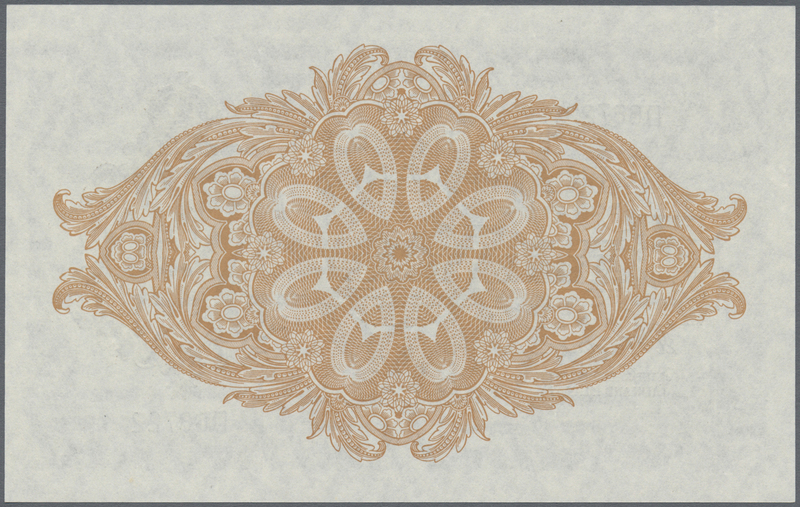 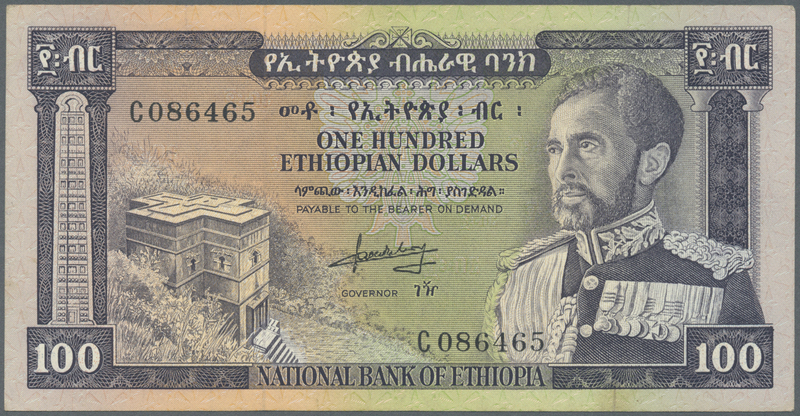 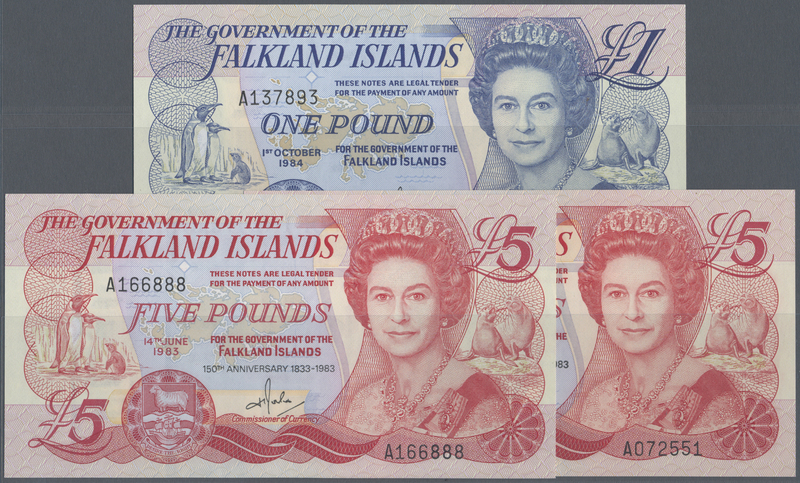 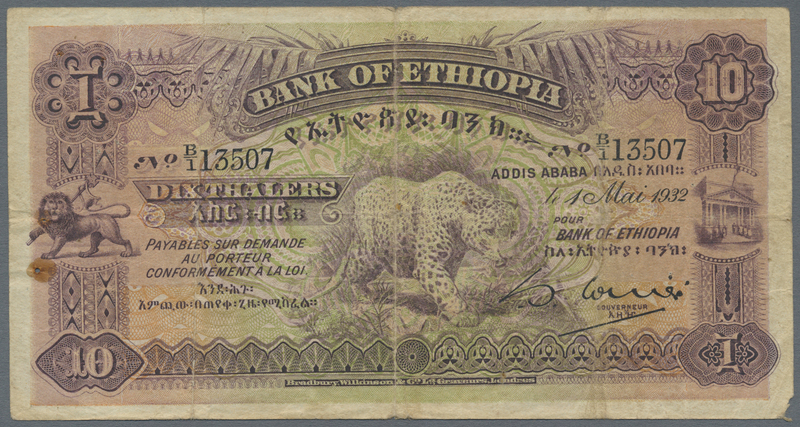 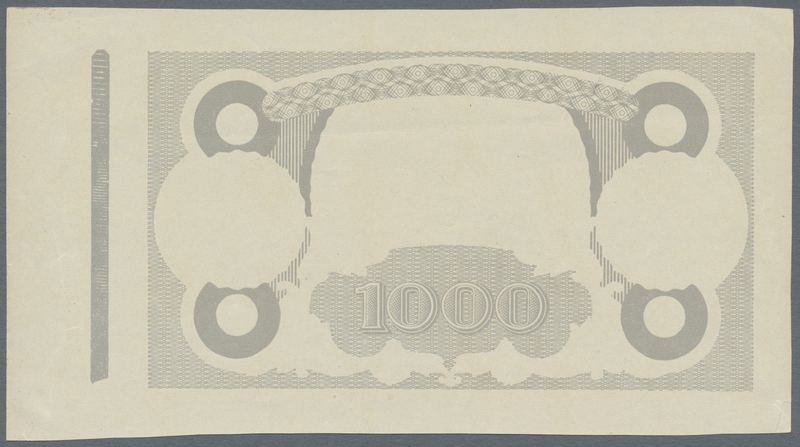 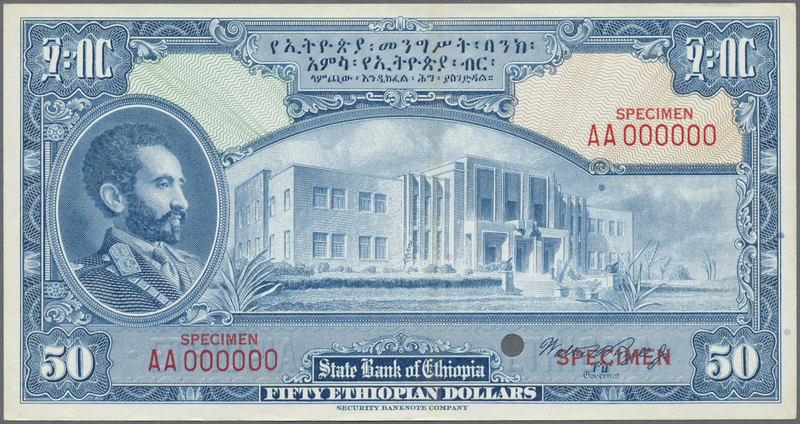 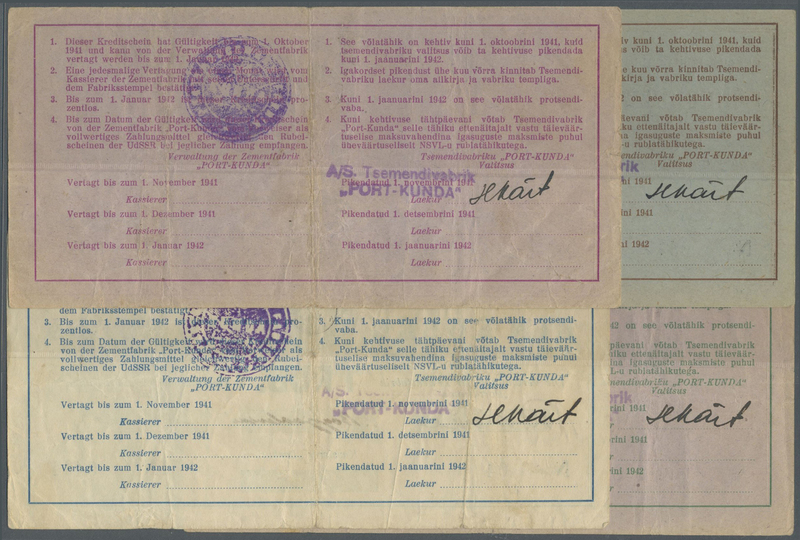 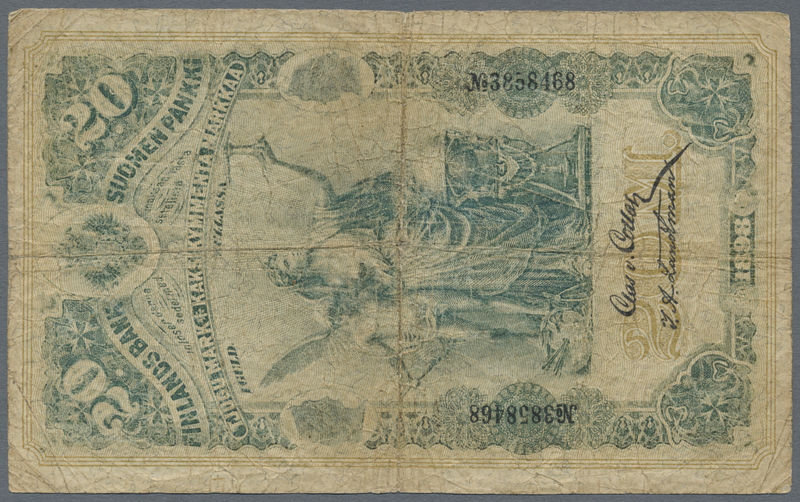 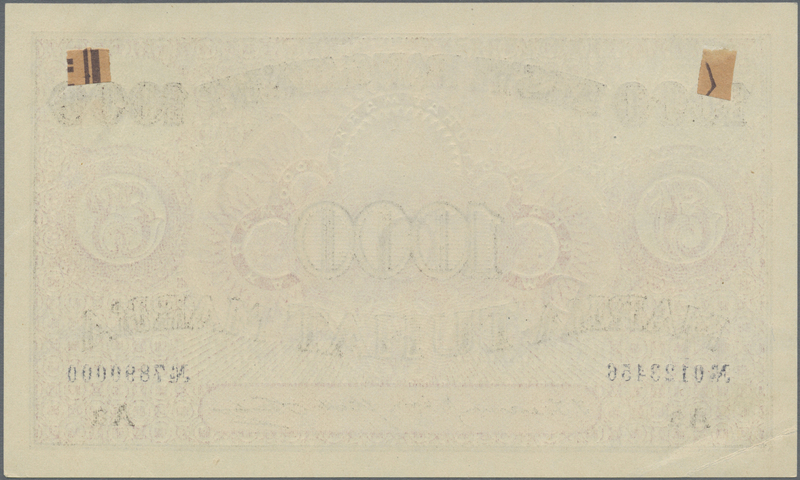 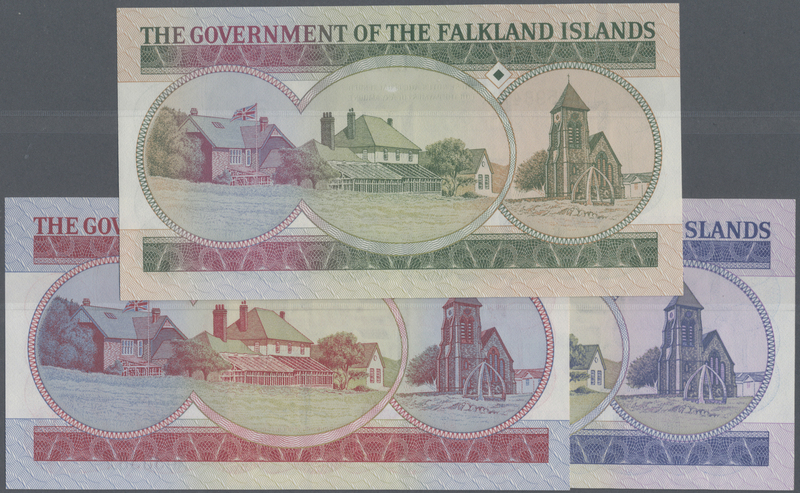 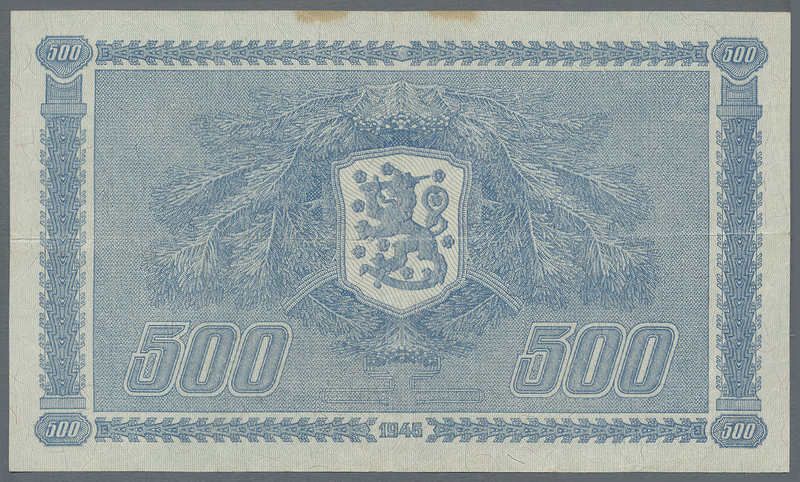 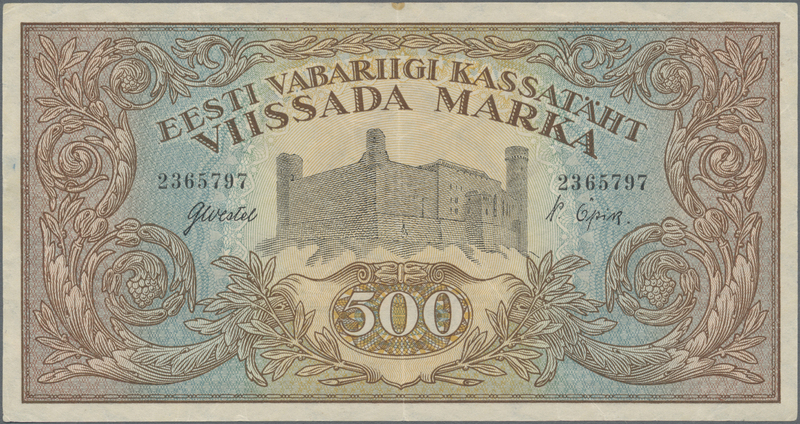 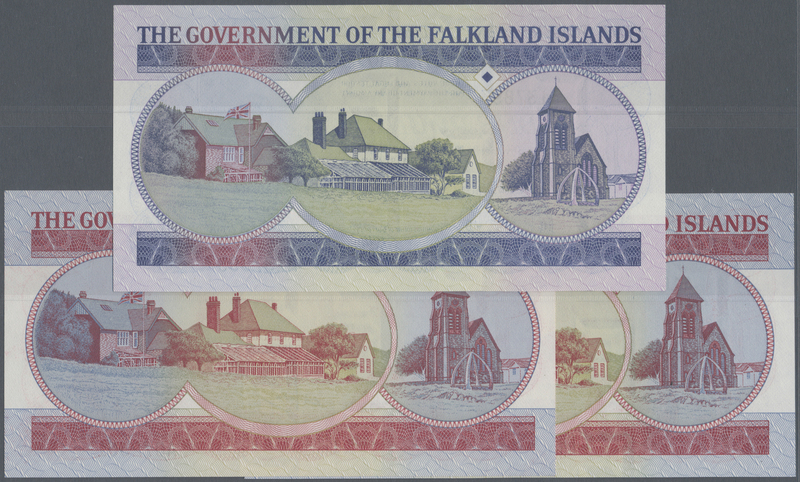 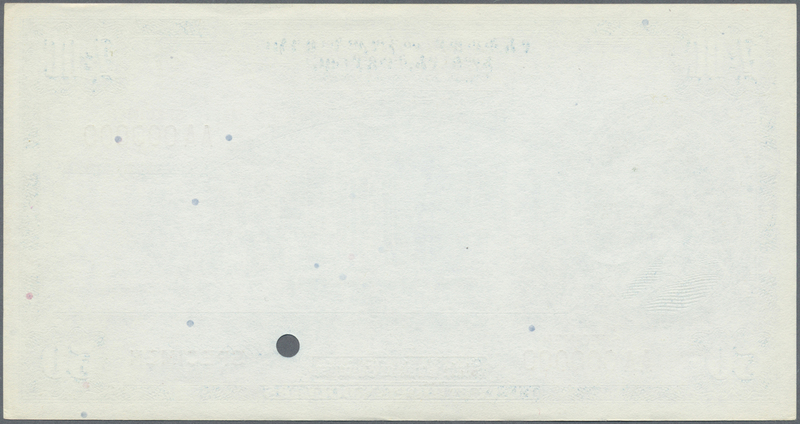 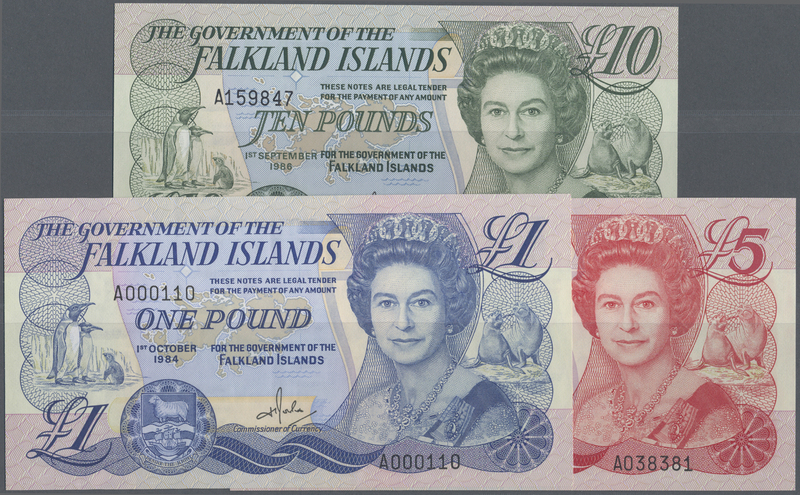 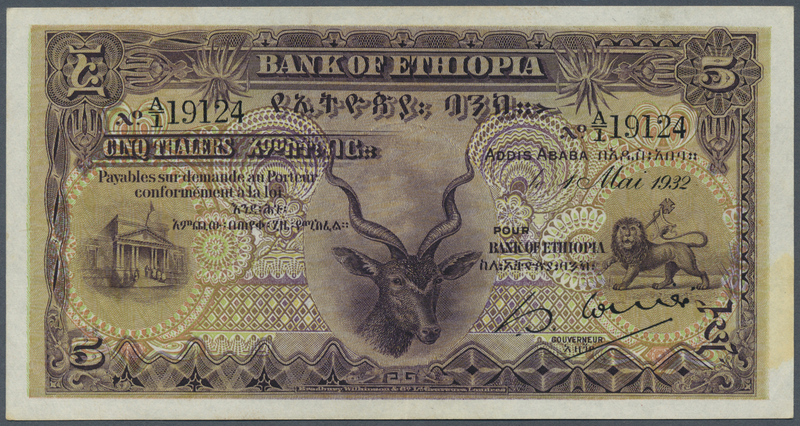 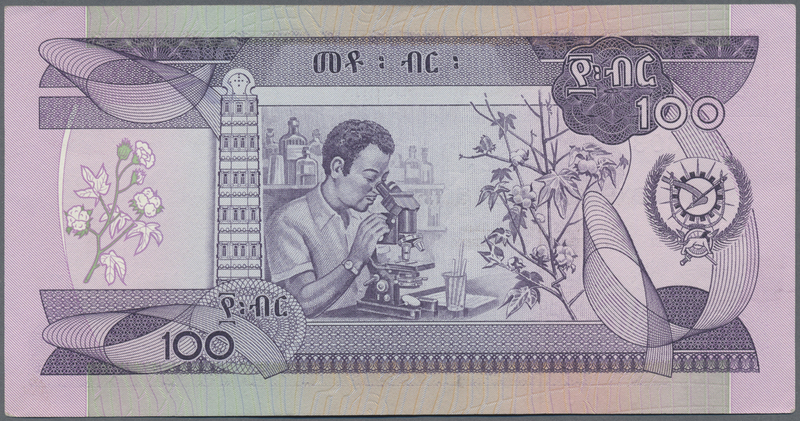 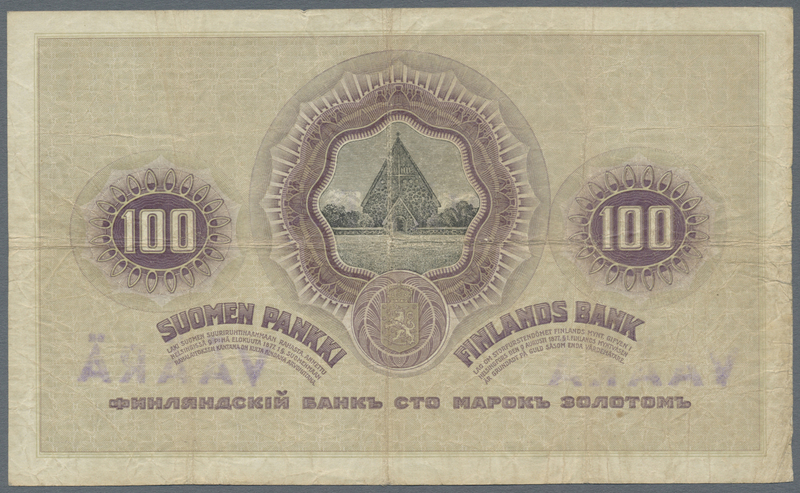 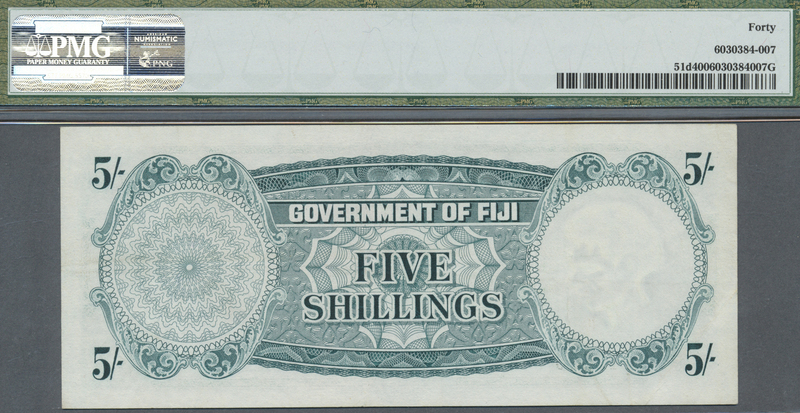 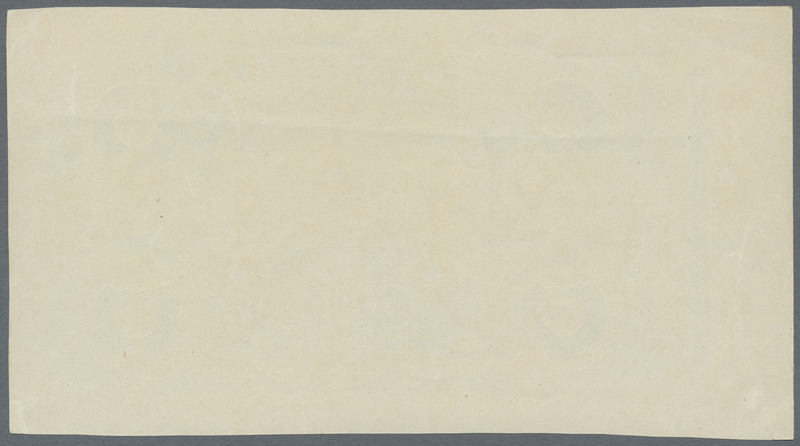 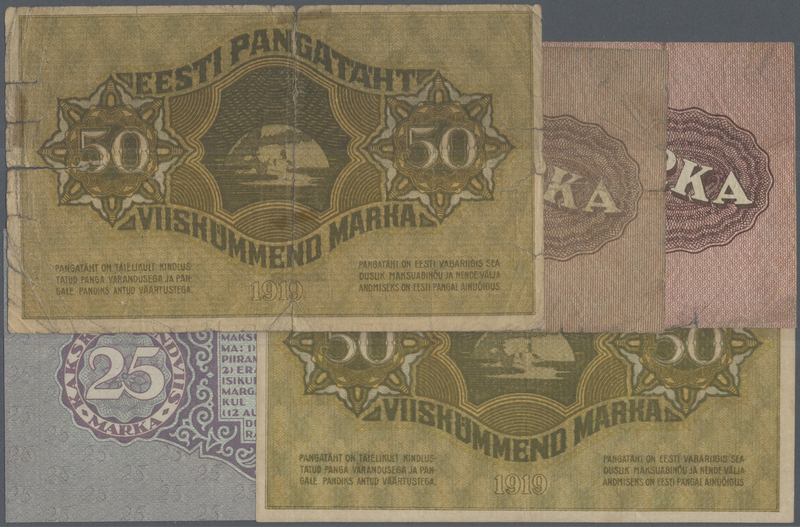 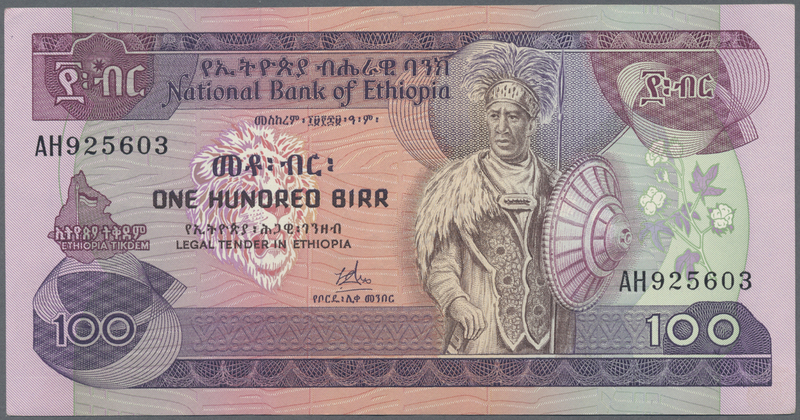 1411 Pick 29 100 Dollars ND P. 29, light vertical folds in paper, strong paper with crispness, original colors, no holes or tears, probably pressed dry, no repairs, condition: VF+ to XF-. 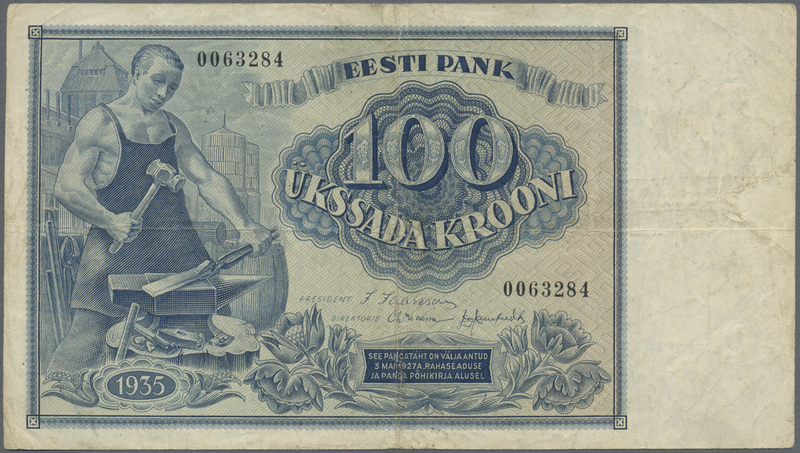 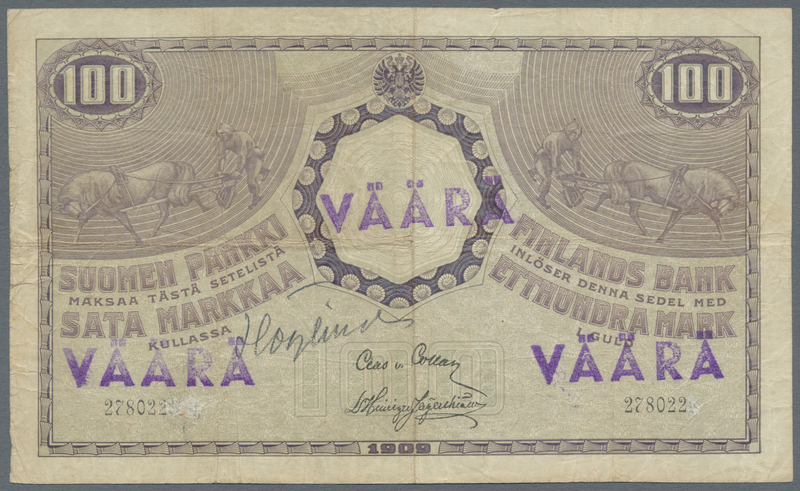 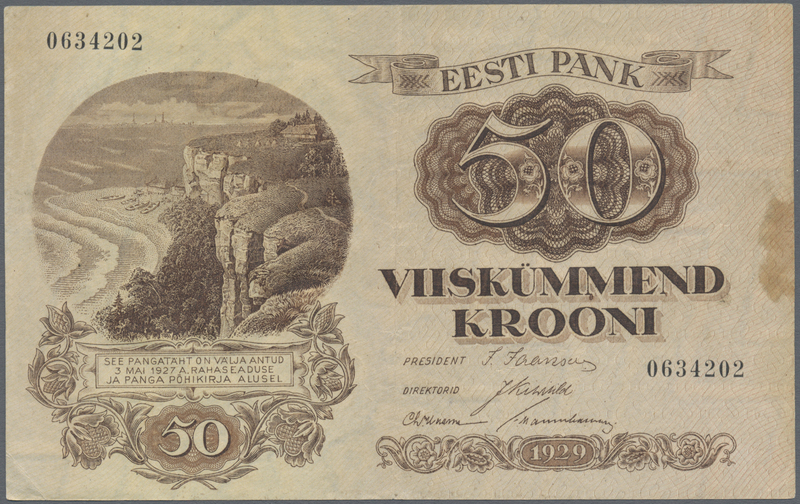 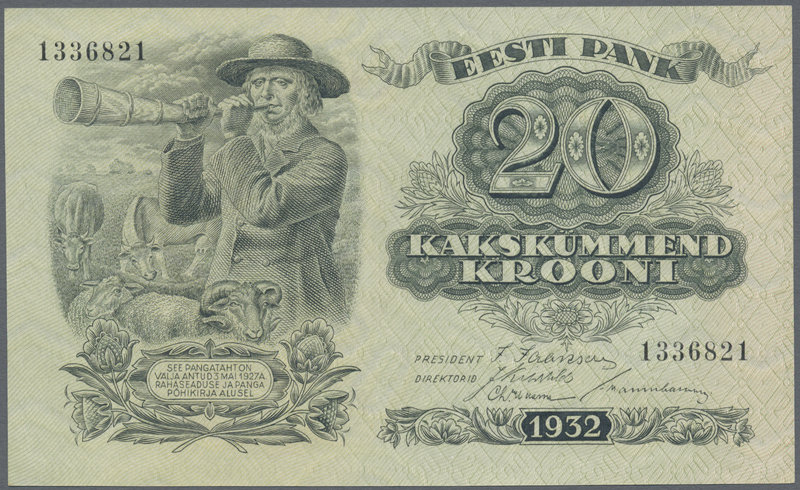 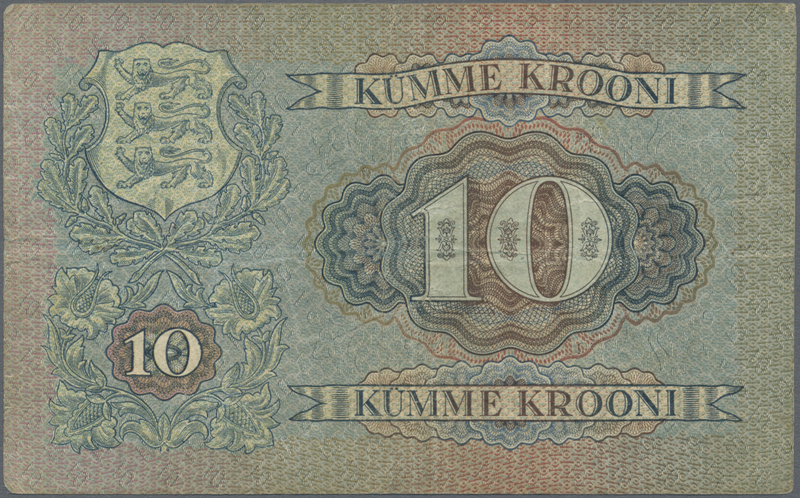 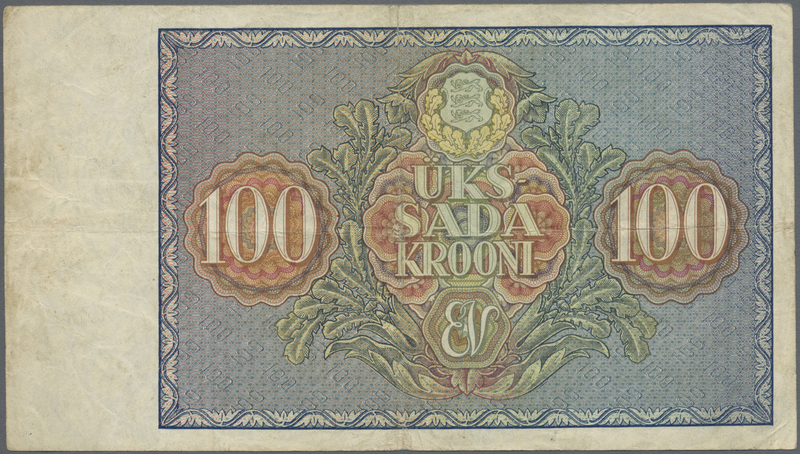 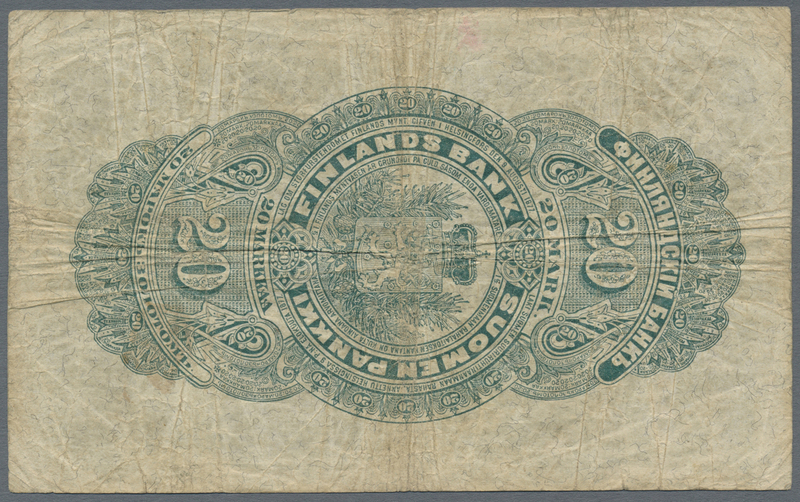 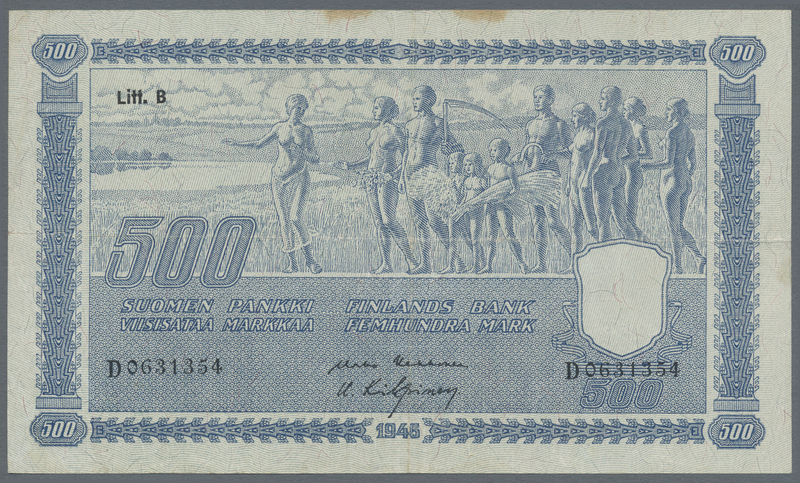 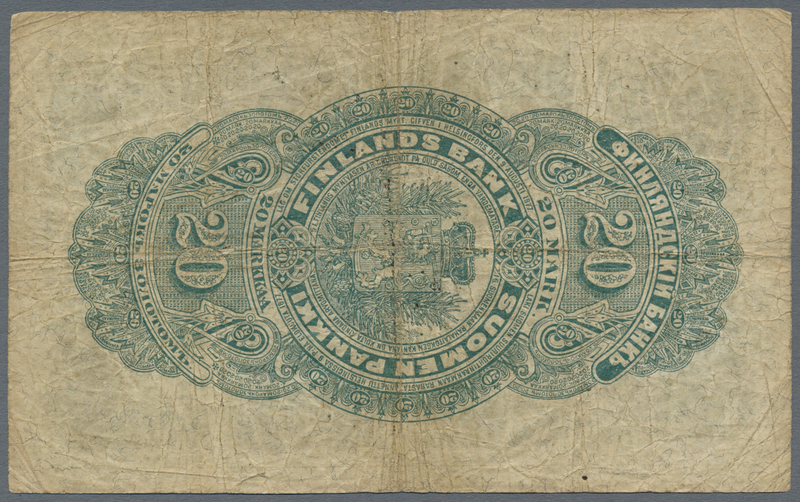 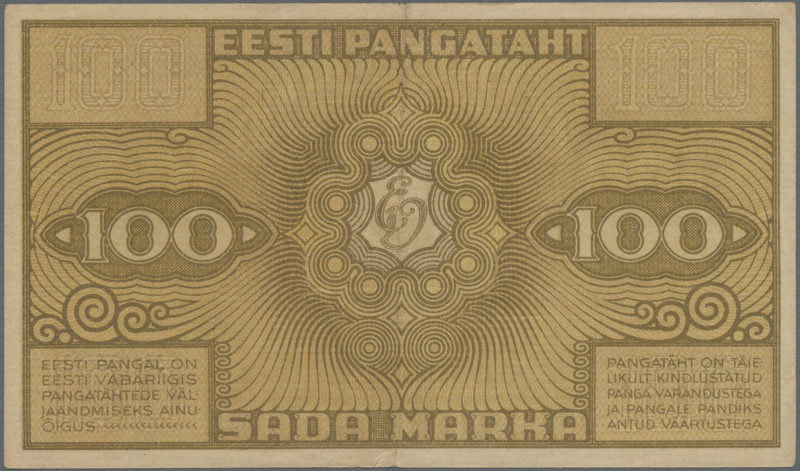 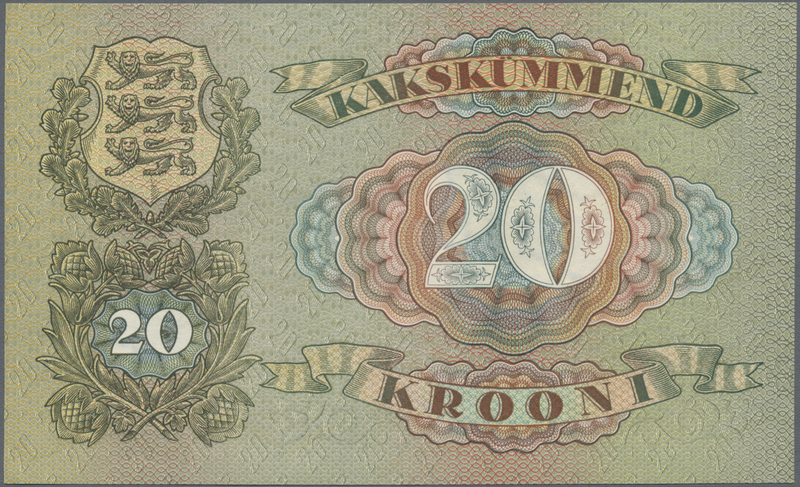 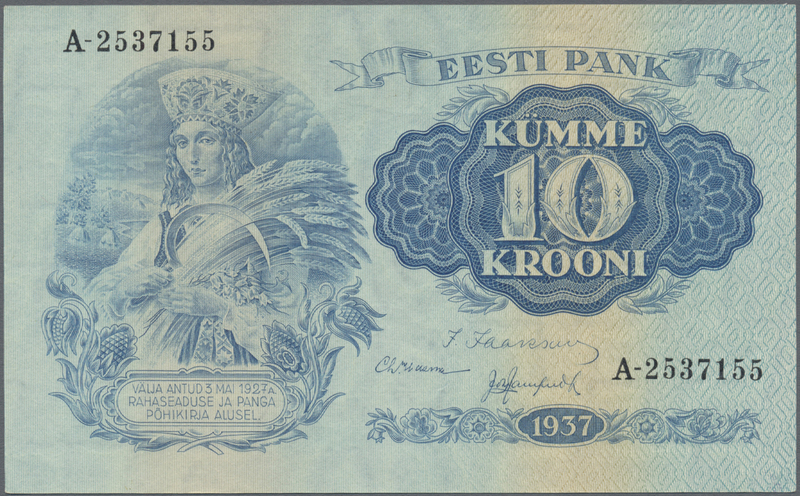 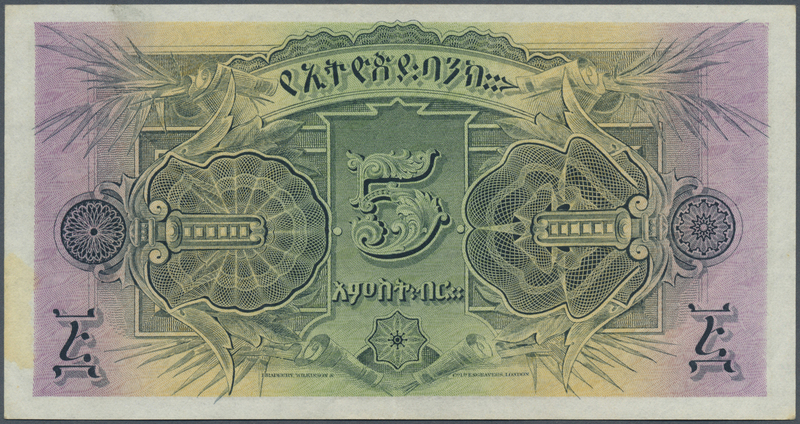 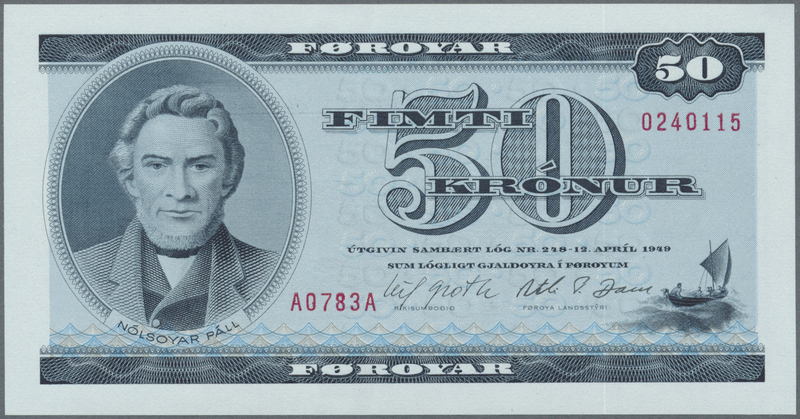 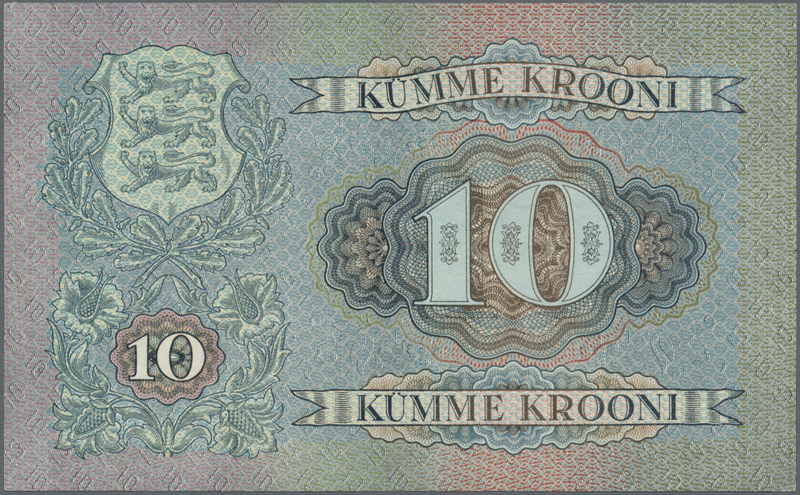 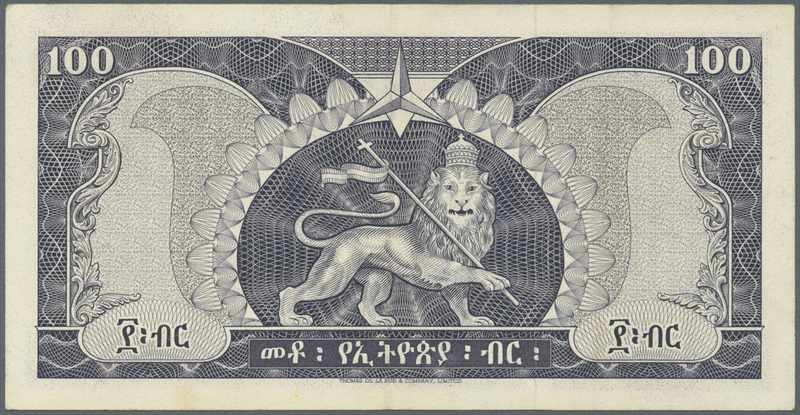 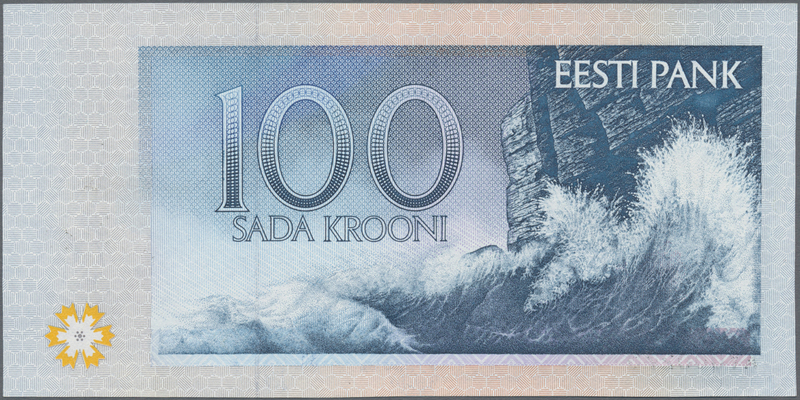 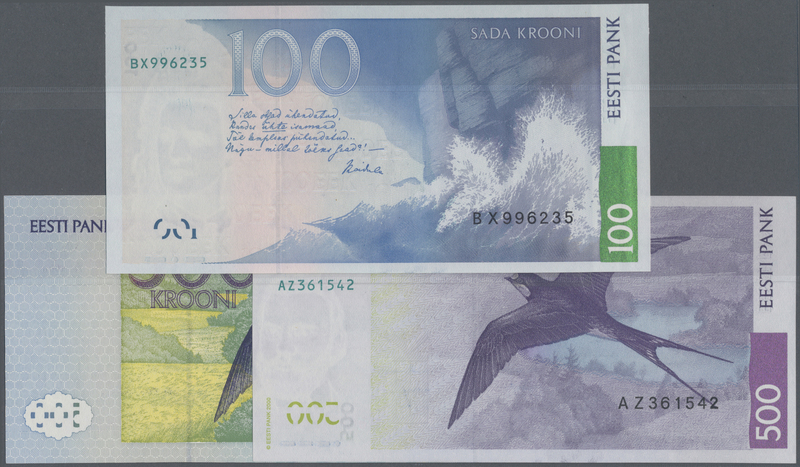 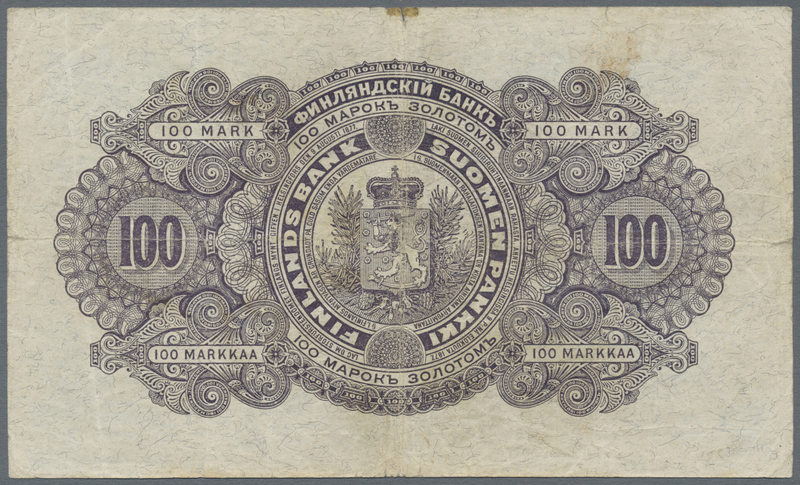 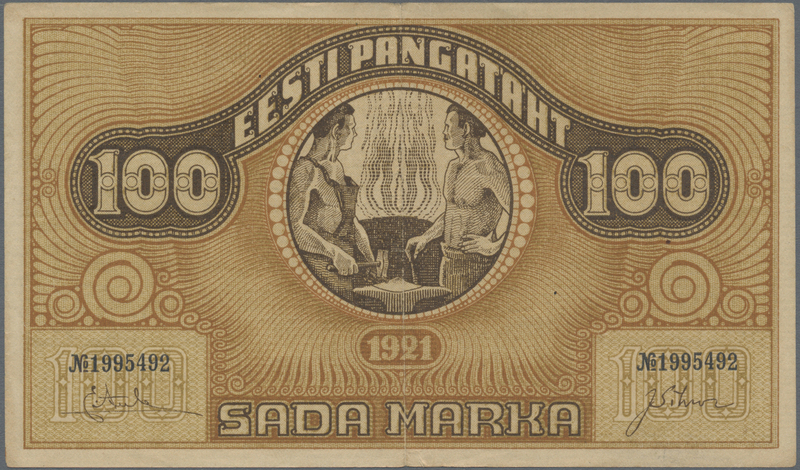 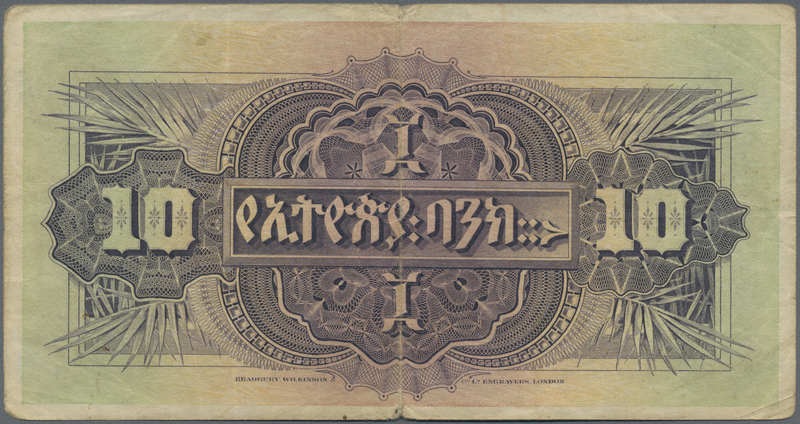 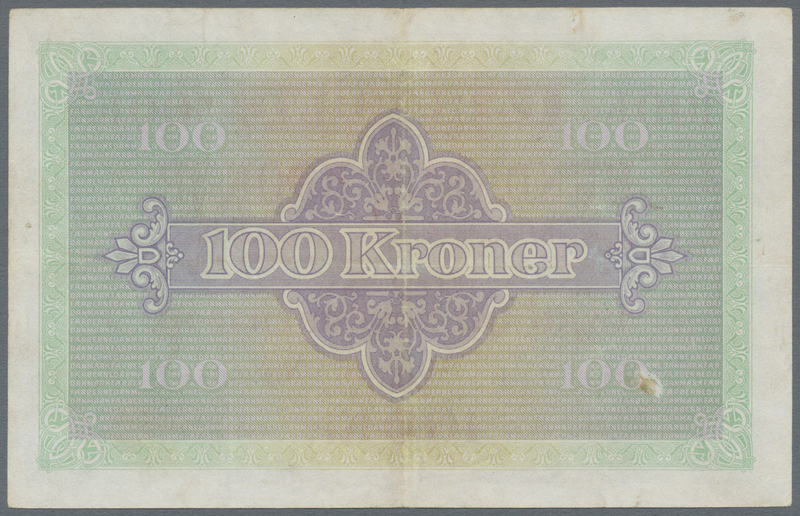 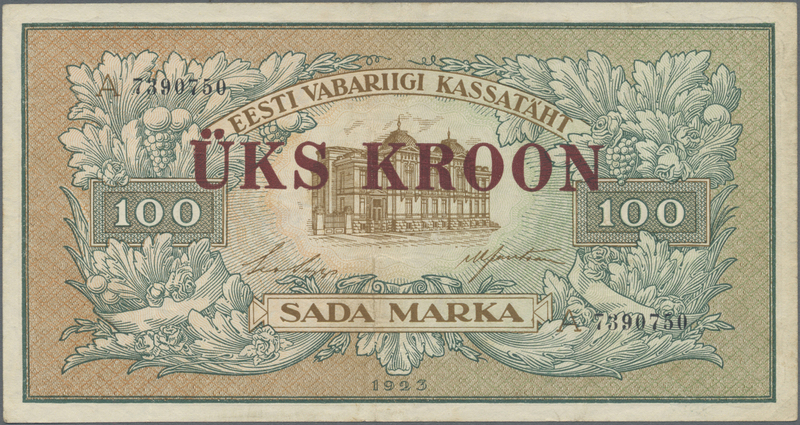 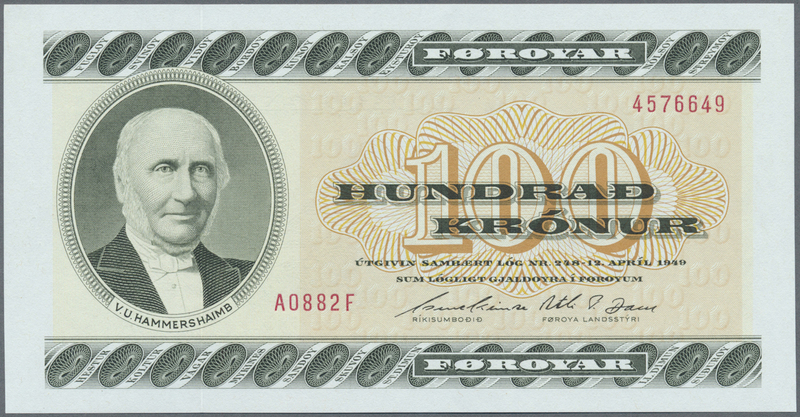 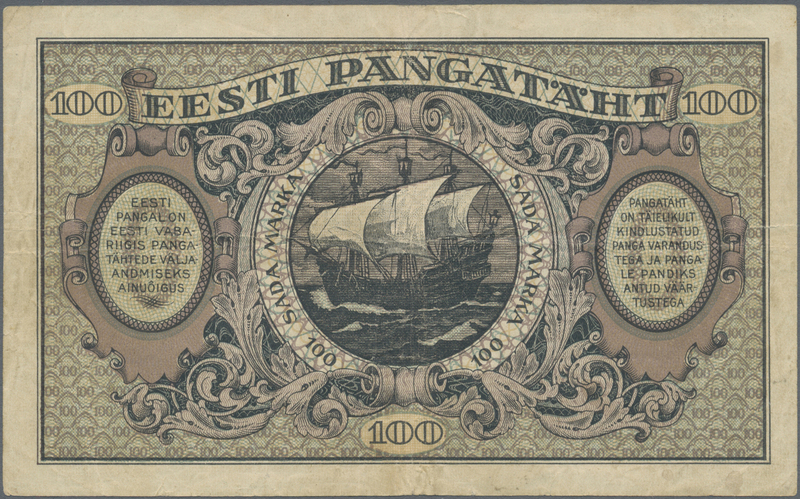 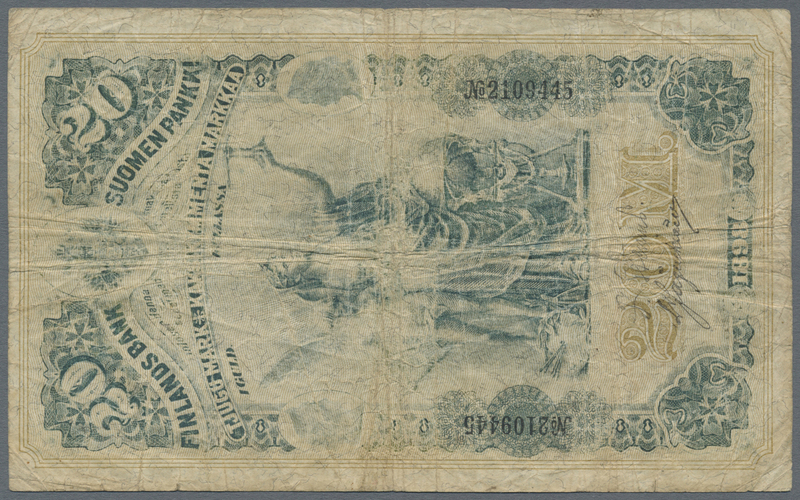 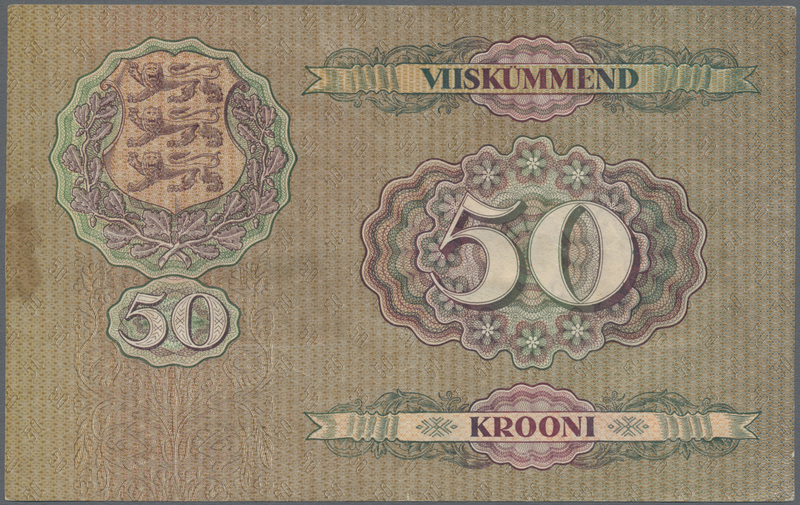 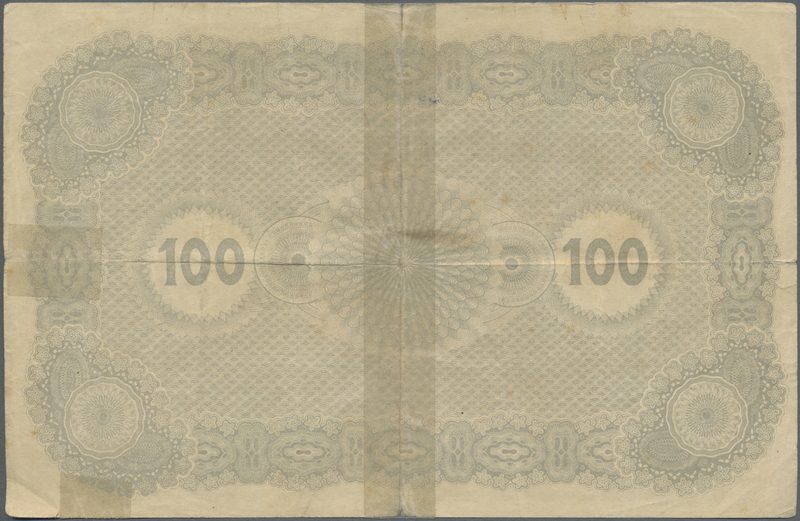 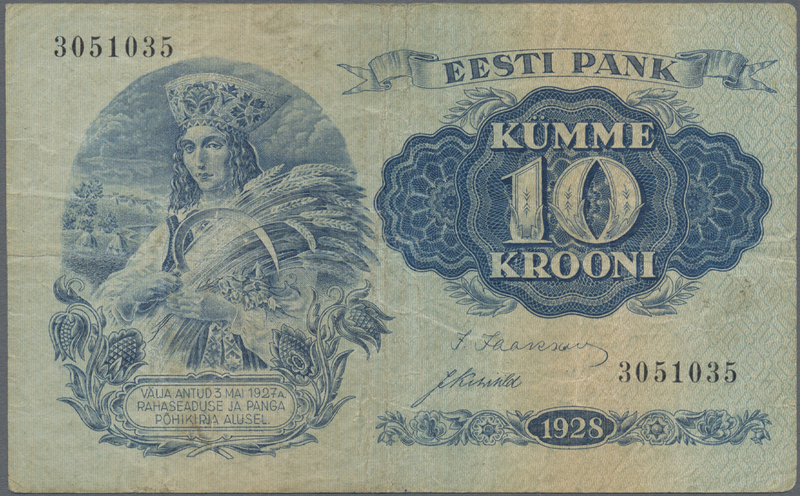 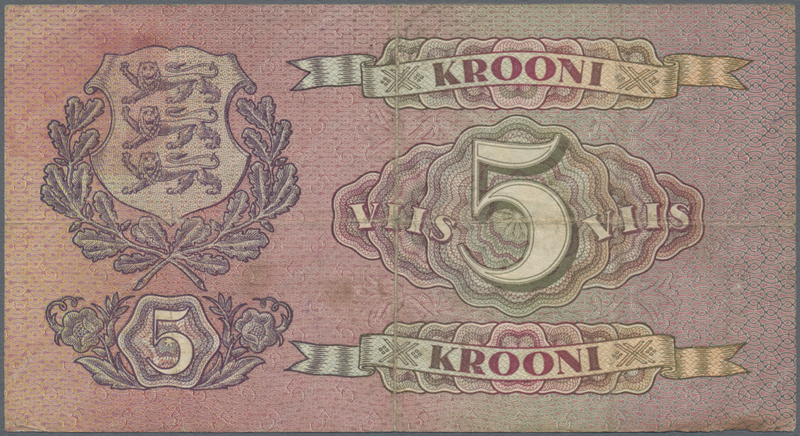 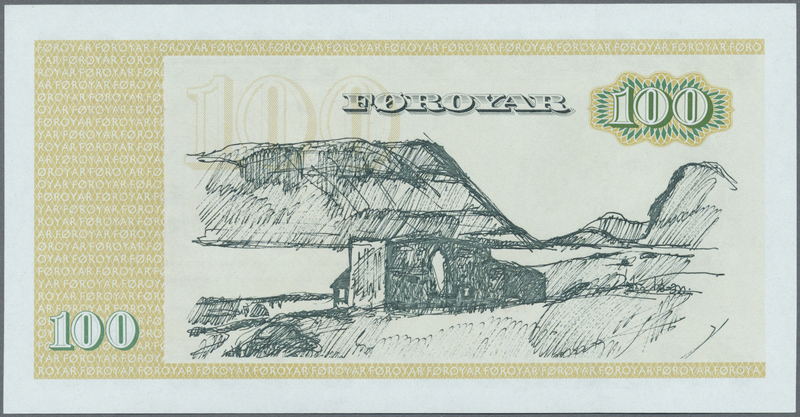 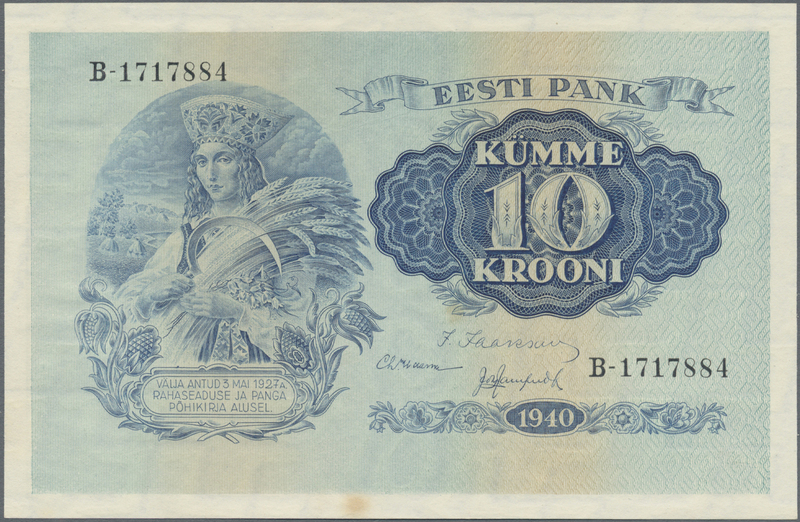 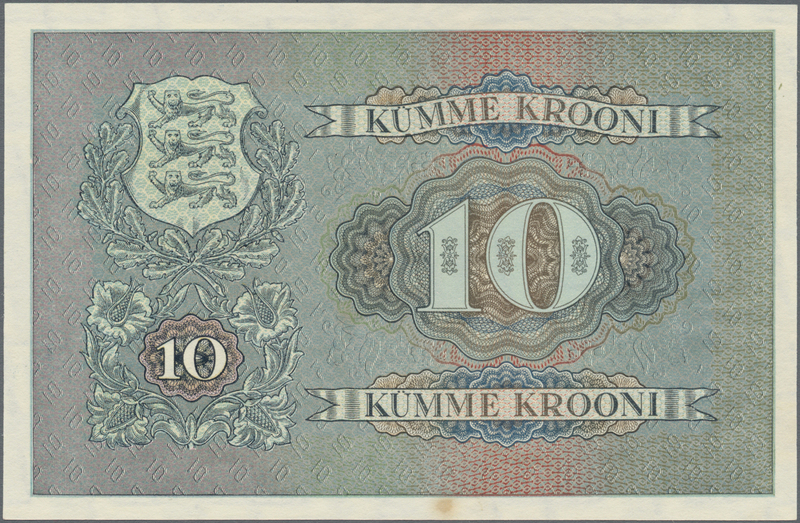 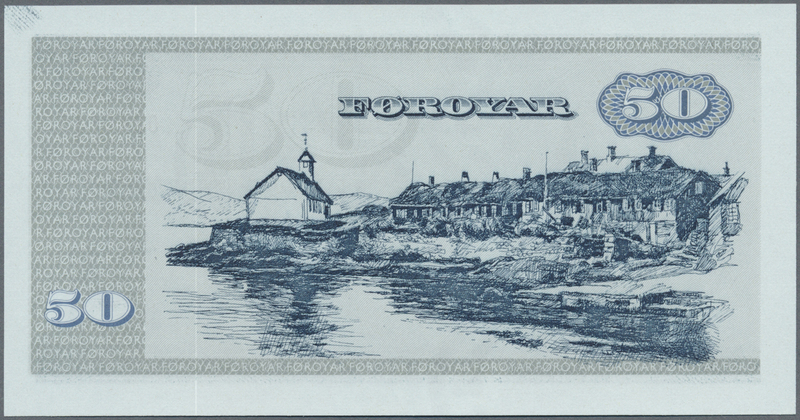 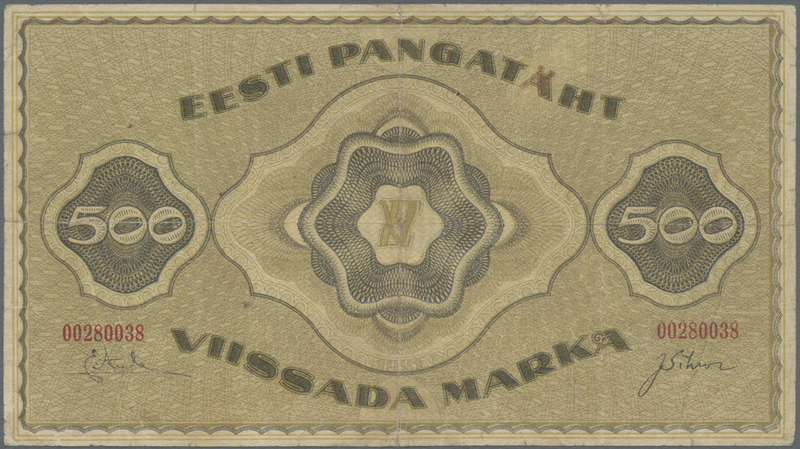 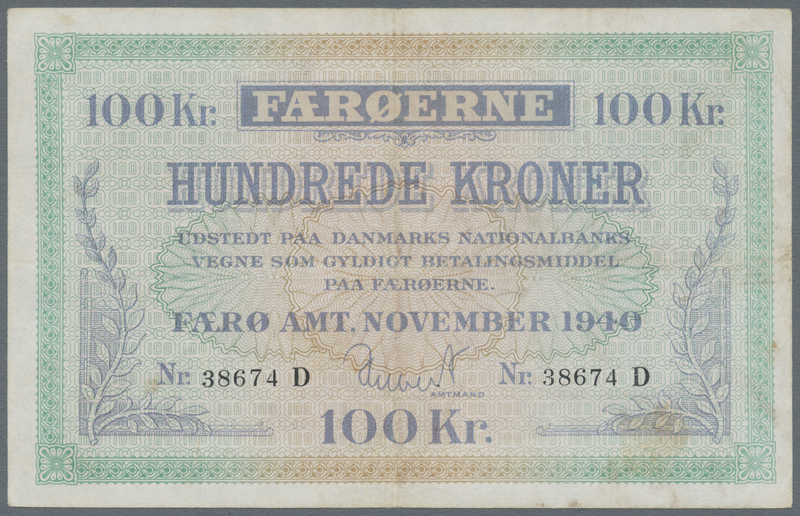 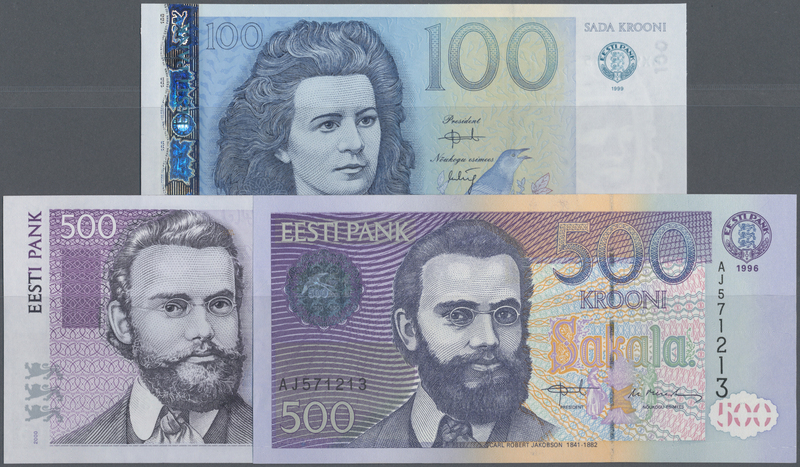 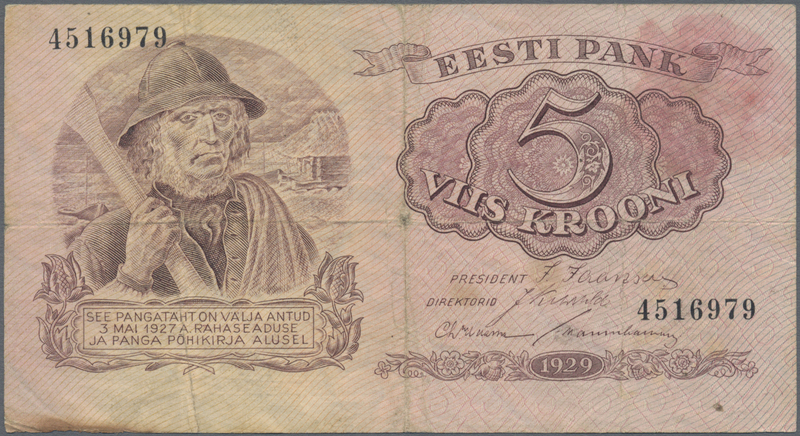 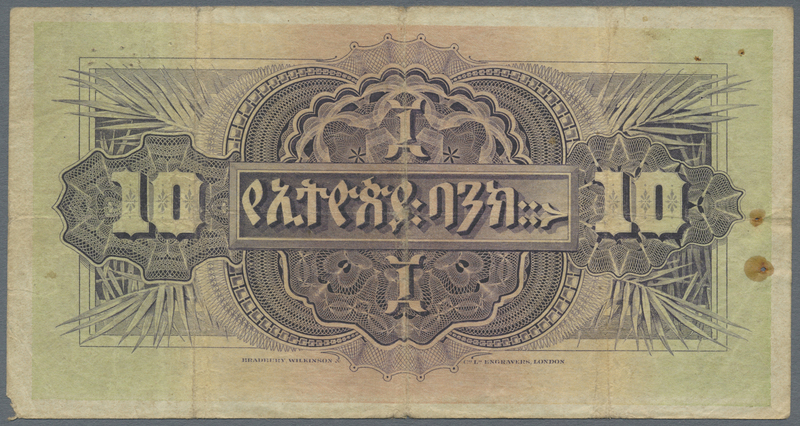 1413 Pick 12 100 Kroner 1940 P. 12, rare high denomination banknote of this series, light folds in paper, pressed, no holes, no tears, no repairs, strongness in paper, condition: VF. 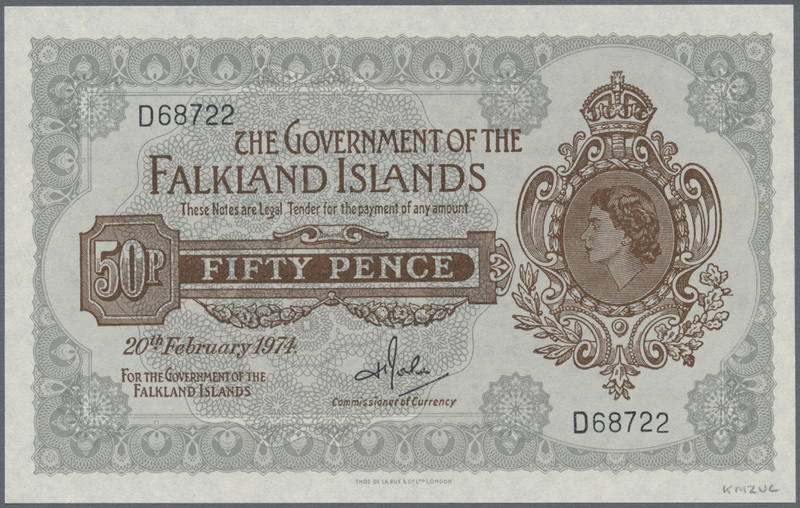 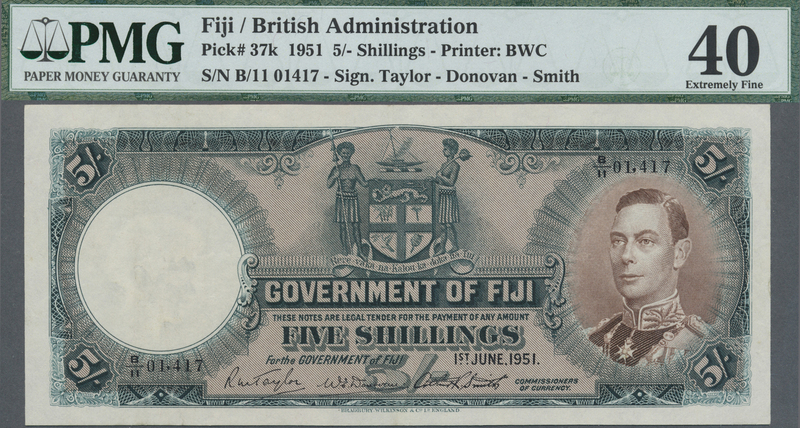 1415 Pick 10b 50 Pence 20.02.1974 P. 10b, portrait QEII at right, S/N D68722, in condition: UNC. 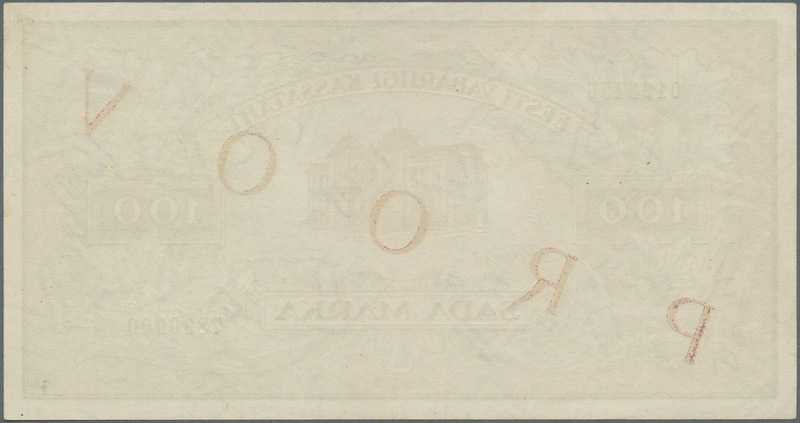 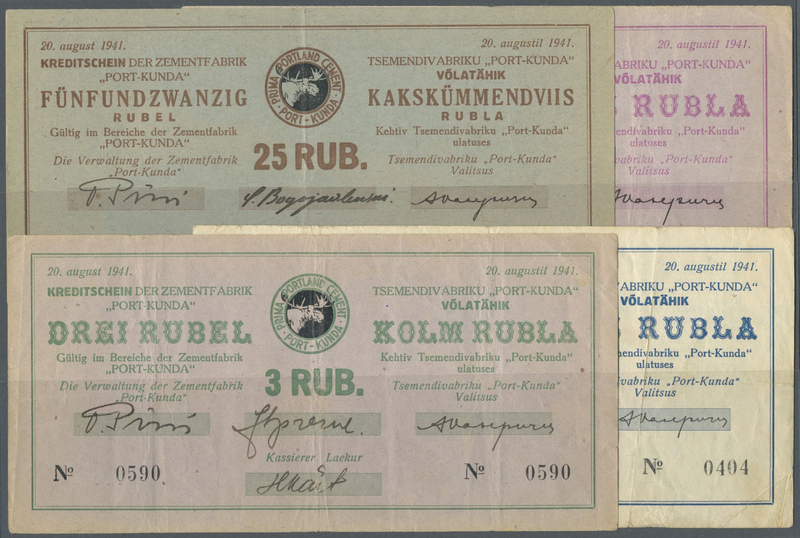 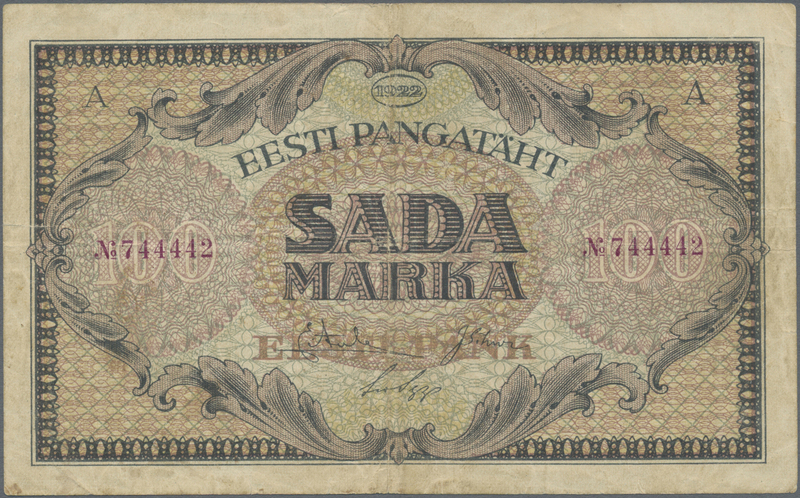 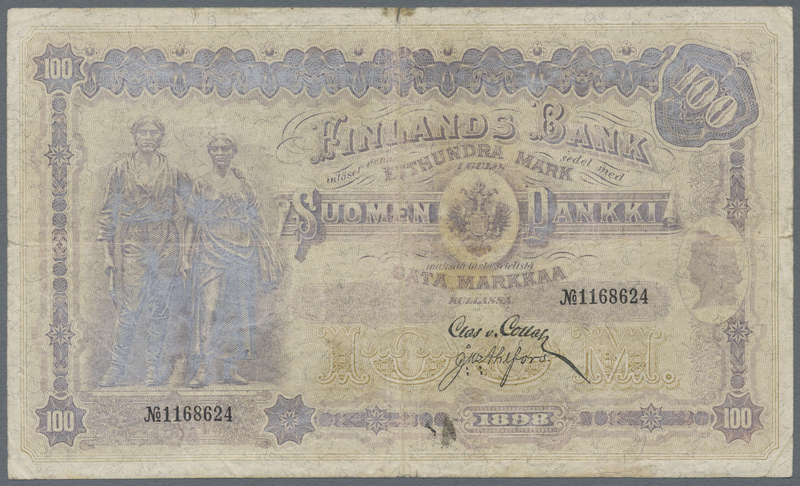 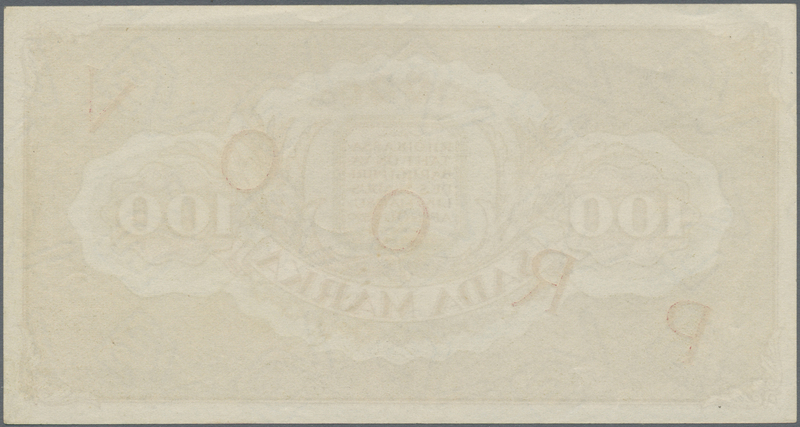 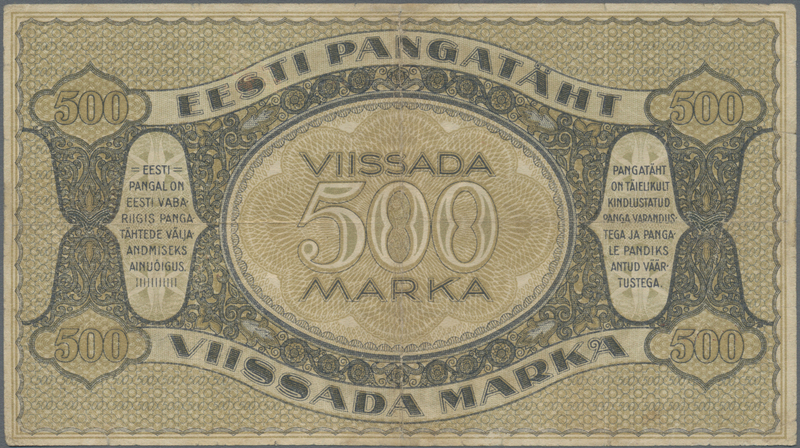 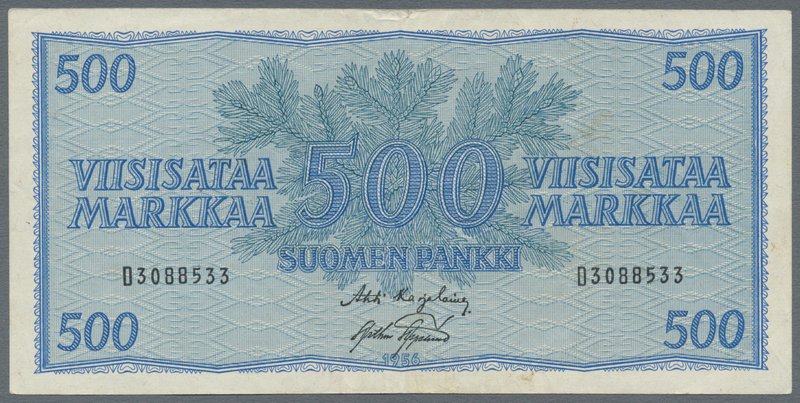 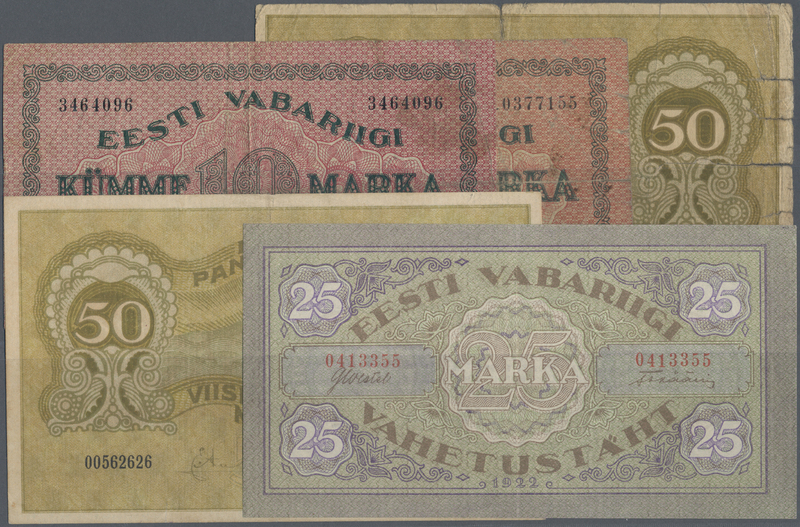 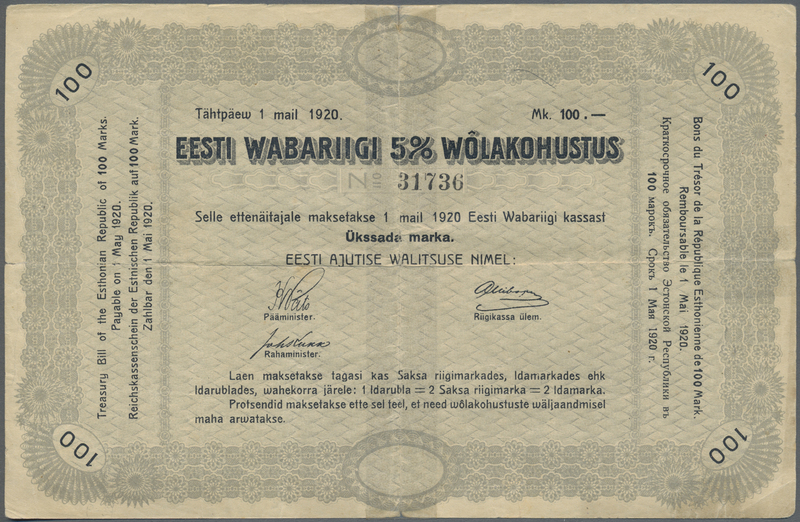 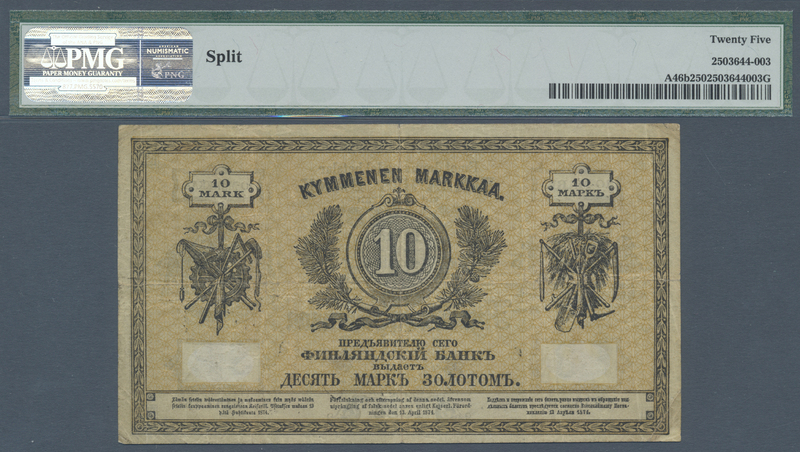 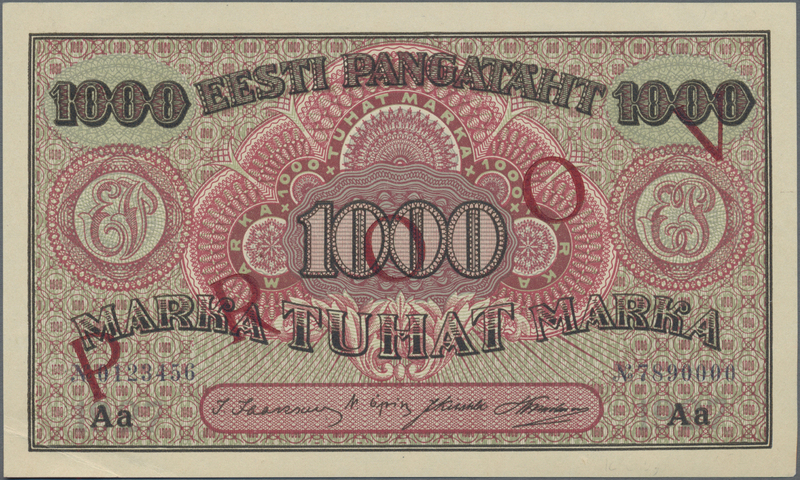 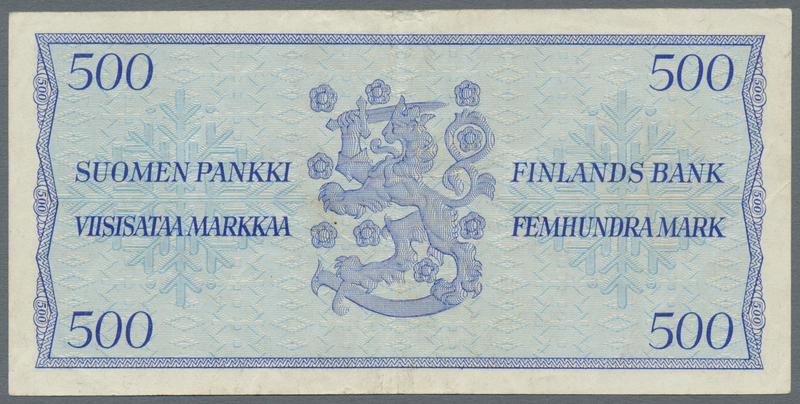 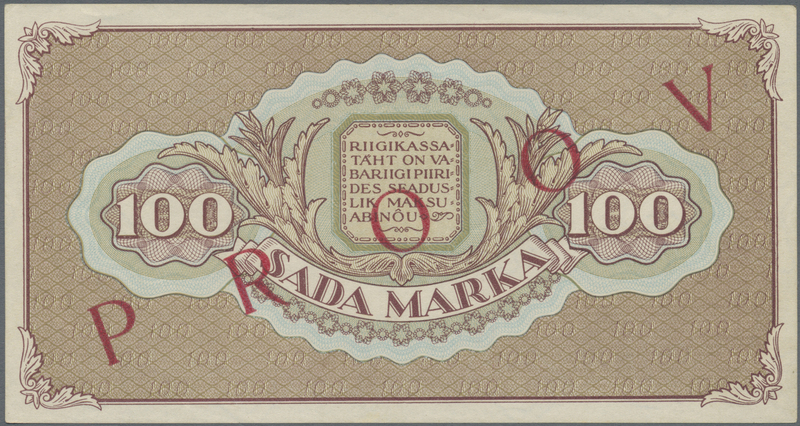 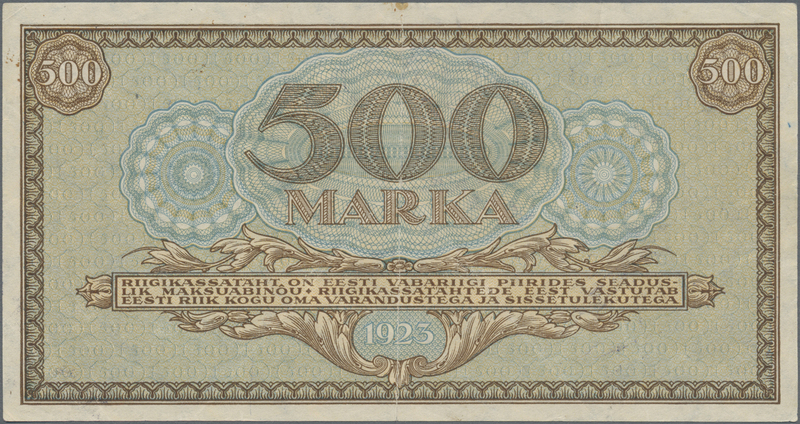 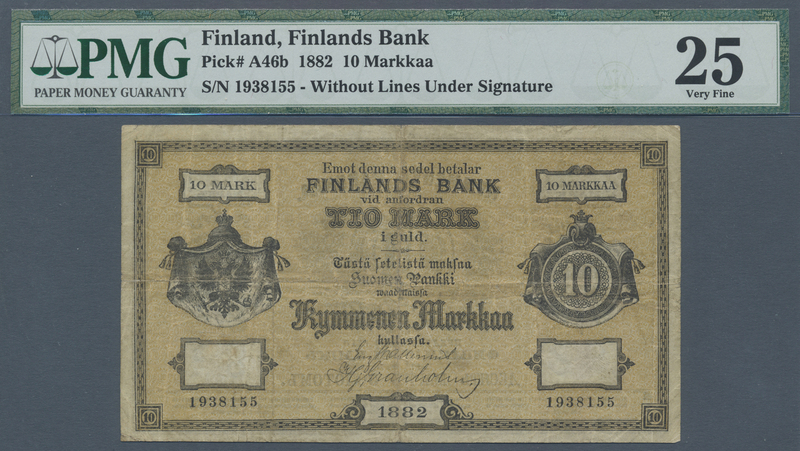 1424 Pick A46b 10 Markkaa 1882 P. A46b, in condition: PMG graded 25 VF. 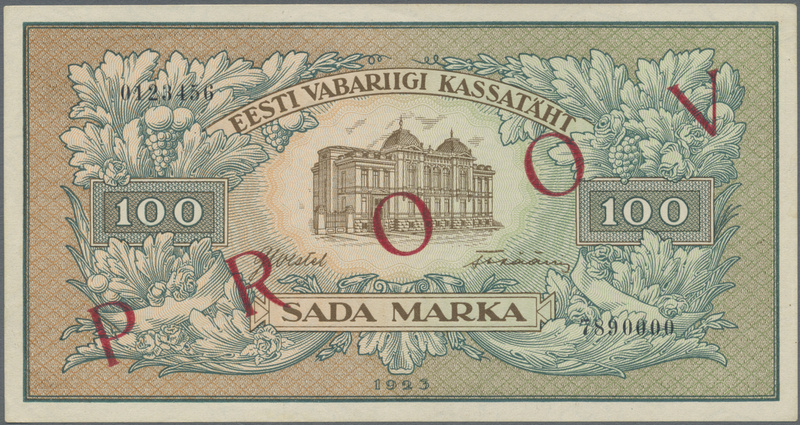 1429 Pick 116 500 Markkaa 1986 P. 116, lightly used with light folds in paper, no holes or tears, still strong paper and original colors, condition: XF.